The problem for gold is that strength in the yellow metal’s price is generally seen as recognition that the global economy is indeed in a parlous state and neither the big money, nor the politicians, want to see this interpretation gain public credence. For the former it would mean a market collapse, perhaps of epic proportions, destroying wealth, and for the latter it would damage the carefully orchestrated perceptions that all is well with the global economy, despite plenty of indicators that this is not the case – not least the debt mountains which have been built by many of the world’s major economies. Modern day politics is all about perception. If people can be led to believe that all is well they will continue spending at levels that will indeed help the economy. In the U.S. for example there is plenty of evidence from non-massaged statistics, that the average person is worse off than they were a few years ago – in some cases substantially so. Yet we have just seen a consumer spending splurge on Cyber Monday which has broken all records. This is obviously unsustainable, but how long will it be when this perception that all is well with the world is just a myth is understood by the majority of the general public? In part the Italian, US and UK votes highlighted above may also signify that this comfortable existence may indeed be on the way out, albeit perhaps just the beginning of such perception. All three are being seen as votes against the establishment, but in no case has the majority been large enough to carry much more than 50% of the vote (less in the case of the Trump victory) so there is still a very substantial number of people out there apparently still happy with the status quo. The ‘protest vote’ will have to grow much further if we are to see any serious perception change. Part of the underperformance of gold against expectation after the Italian result has been put down to dollar strength, given a sharp fall in the euro as the result was confirmed which is seen as having the potential to upset the euro applecart and precipitate an Italian banking system meltdown with a correspondingly adverse impact on the whole European banking sector to which the Italian banks are severely in debt. But the resultant dollar strength has been shortlived, while gold has remained well down on its Friday close – despite Shanghai trying to give it a boost with a pm gold benchmark price, as calculated by kitco.com, of $1,198.11 – over $20 higher than the Globex spot price at the time. New PM May a closet Brexiter? 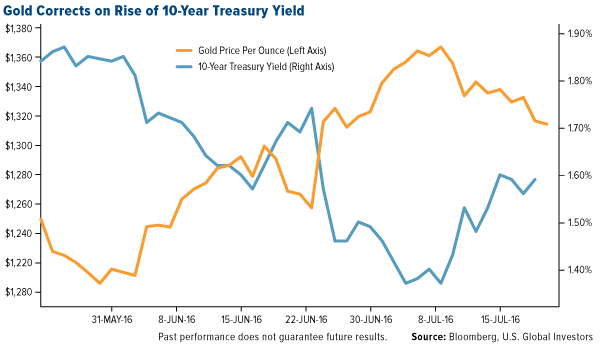 What does it all mean for gold? Britain’s new Prime Minister, Theresa May, has come into the position post the Brexit vote despite officially supporting the Remain in the EU campaign. However her statements and actions since her ascendancy to the UK’s top political position suggest she may have been at best lukewarm in her support for the Remain campaign, and perhaps at heart a closet Brexit supporter. One suspects there may be more to her initial decisions since her ascendancy to the Conservative party’s leadership than just an attempt to unite the party, which only has a slim majority in the UK’s Parliament. 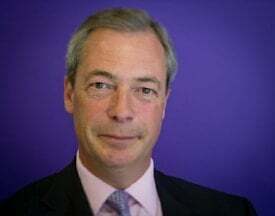 One of her first statements on achieving the party leadership was that ‘Brexit means Brexit’ – an extremely adamant position which she will not be able to back away from, even though the country is hugely divided given the closeness of the vote and a petition signed by over 4 million people to implement a referendum re-run – surely a non-starter. 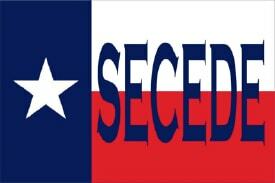 Because you don’t like the result doesn’t mean you should immediately call for a second vote. Even the Scots didn’t do that after a close independence referendum. Also her initial Cabinet appointments putting some strong Brexit supporters into key ministerial positions (the charismatic, but highly controversial Boris Johnson as Foreign Secretary and longtime EU sceptic David Davis as Minister for Exiting the EU for example) indicates an additional determination to proceed with the negotiated exit, albeit perhaps not quite as quickly as some EU leaders might appear to prefer. The exit will not happen until Article 50 is invoked by the UK and current indications are that this might not be until next year – and then there would be a 2-year countdown to the break – so the UK is likely to remain an EU member until 2019 at least. 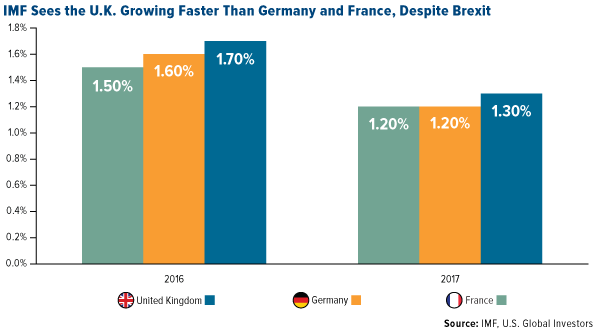 So what does all this mean for the UK economy – and that of Europe and the rest of the world? 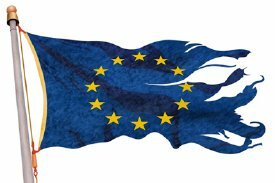 It will certainly be a destabilising influence on the rest of the EU where many member nations have their own anti-EU movements to deal with. This is why the rhetoric from a number of national leaders is to play hardball over the UK exit, although the economics of so doing would almost certainly be counter-productive for their own economies. In the event one suspects economics will win out and deals will be quickly renegotiated, particularly as the UK remains either the biggest or second largest market for trade from other EU nations depending on whether this relates to goods or goods and services – but of huge importance regardless. 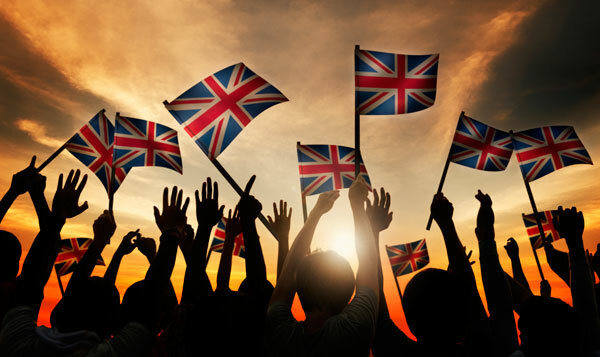 The big sticking point may well be the free movement of EU nationals in and out of the UK, but there is the possibility that some fudge will be made here of at least partial satisfaction to both sides. But it is EU instability which will be the most significant factor here. Polls suggest that many EU nations, and in particular some with the biggest economies, have huge underlying anti-EU sentiment, but whether this would be sufficient to a move to actually exit from the Union is perhaps much more difficult to judge, but it could put the EU project – in particular with regard to ever-closer political union – into jeopardy. It is this uncertainty which will impact the global economy perhaps for years to come and could well be a stimulus for precious metals as a continued safe haven investment. Regarding gold, there has been a substantial post-Brexit drop in value over the past few days after a big rise immediately after the vote. Ironically this has coincided with the publication of bullish forecasts from a number of bank analysts – perhaps these should be seen as a contra-indicator. After all at the beginning of the year many of these were then preaching a gold price collapse and were hugely wrong then. They could be equally wrong now. So much for ‘expert’ predictions! 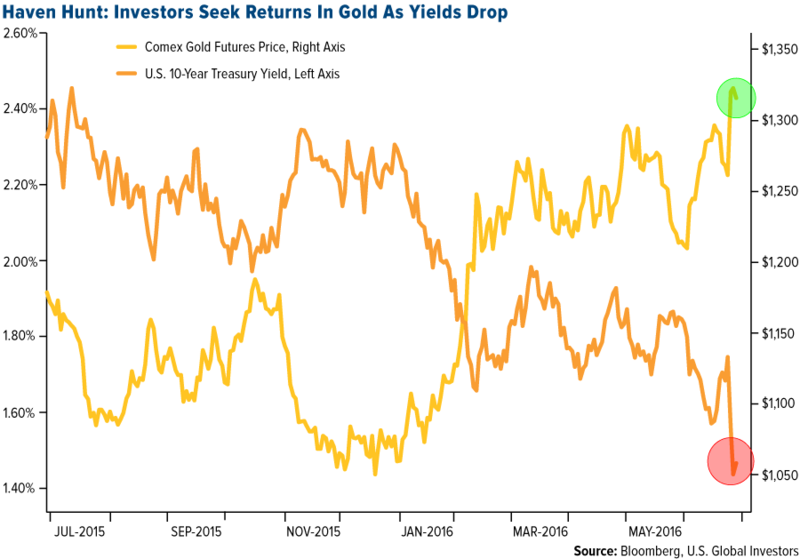 While the gold price fall has not reached freefall levels yet the trend looks to be downwards – but for how long? Withdrawals from, or purchases into, the big gold ETFs – for which SPDR Gold Shares (GLD) – is probably the best proxy being the biggest of them all – is a key indicator. After a big sell-off in the GLD holding on Tuesday, yesterday saw no change, but future day-to-day purchases or sales will likely be very closely followed by the precious metals markets. Given the big rise in gold and silver prices immediately after the Brexit vote a degree of profit taking is to be expected – particularly in the UK where big gains had been made with the combination of a dollar gold price rise and a sharp fall in the pound sterling’s parity against the dollar. The pound appears to be stabilising, although could be knocked back a little further if the Bank of England, cuts interest rates by 25 basis points today, as expected, although this could already be factored into current sterling levels against the dollar and the euro. We would expect the UK economy and indicators to stabilise – or even improve – as the negatives and positives of a UK exit become more apparent. Certainly the UK stock market seems to suggesting this with the FTSE100 index riding high at around its highest level since August last yearand even the FTSE250 – seen as more representative of the UK economy as a whole, picking up well and now only around 2.5% down on its high point for the year reached immediately pre the Brexit vote when a Remain outcome was seen as something of a certainty. Indeed it is now up 12% plus since the actual outcome of the vote became apparent. This does not suggest an economy in crisis as many still-smarting Remain campaigners and EU leaders have been suggesting. The pound has been the only real indicator to suffer seriously so far and, as noted above this seems to be stabilising and we would not be too surprised if it should recover perhaps half the ground lost, or more, over the next few weeks and months. But, uncertainty will persist as the post Brexit vote ramifications unwind, and could receive another setback if and when Article 50 is actually invoked. If Brexit truly does mean Brexit, and this may not have played out fully yet, then the fallout will continue across Europe and in the UK, and all this would seem to be positive for precious metals in the medium to long term. Edited and updated article first posted on info.sharpspixley.com on Friday, post the UK’s Brexit referendum vote. A minor update taking into account opening of markets following the weekend. Yes, Brexit has been bad for UK markets, but No it has not been nearly as bad so far as many had feared. It’s generally been far worse for global ones! But it’s early days yet….. Immediately prior to the referendum vote market indicators had been riding very high in anticipation of a Remain victory. The pound had spiked to over $1.50 against the US dollar – its highest level for around 7 months and the post-Brexit vote headlines have all tended to look to the British currency’s fall against that level – currently around 8%. But compared with just over 2 weeks ago it is only down less than 5%. Bad, but not quite so horrendous, and so far way short of the kind of fall predicted by some very high profile investors and analysts. The knee jerk reaction though, once the Leave vote had become a virtual certainty, was for the pound to spike down to around $1.324, thus a peak to trough move of around 12% – in actuality a move from a spike up to a spike down – but that is what media headlines will have led with. The reality is a somewhat less calamitous fall once the smoke had started to die down, although still an extremely significant one, although we expect to see continuing pressure on the pound as some of the ramifications of the popular vote come home. Indeed the pound has continued to fall this morning as I write coming down a further 2%. And of the major currency markets the media mostly refer to, the pound was indeed by far the worst performer. But in contrast, let’s take the most followed UK stock market index – the FTSE 100. From media headlines who would realise that the FTSE 100 level at Friday’s close at around 6,139 is actually 3% HIGHER than it was only just over a week ago when it fell below the 6,000 mark, is up, albeit by a small amount, on the year to date and fully 10% higher than it was at this year’s low point to date in mid-February. This was certainly no immediate UK stock market crash as some would appear to have us believe. Some might reckon this is just a mild correction, although again we would anticipate further downwards pressure this week. But the FTSE 100 does have a degree of protection as there are several resource companies in the Index including precious metals miners and precious metals are one of the market sectors benefiting from the vote. Some of the broader-based FTSE Indexes will fare a little worse, but so far again, not a calamitous meltdown. The FTSE100 has continued to drift downwards on Monday morning but so far is still holding above the 6,000 level. On the other side of the coin let’s take the gold price. ‘Gold price soars’ the media headlines will tell us, but it actually fell back from a knee-jerk peak of $1,360 as it became apparent that Brexit was likely to carry the day, down to below levels it had already previously reached as recently as in mid-June, coming back down nearly $50 or so once the markets had time to digest the reality. Sure it had spiked up over $100 from around the $1,250+ level it had fallen to when the world had anticipated the Remain vote would prevail, but for significant periods in the previous month it had been much higher peaking at around the same level that we saw at the weekend’s close only a couple of weeks earlier. Gold has strengthened more this morning and we would not be surprised to see this trend continuing, particularly if gold ETF inflows remain strong – a massive 18.4 tonnes were added to the SPDR god ETF (GLD) on Friday for example. 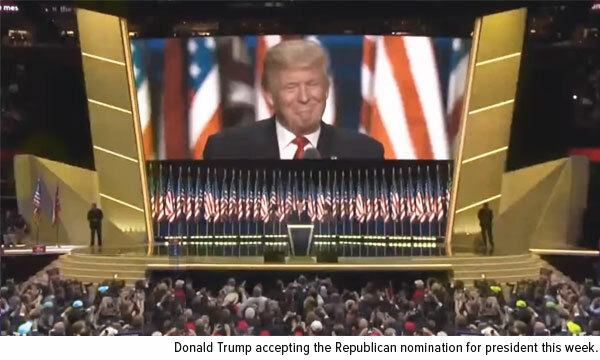 With gold rising in US dollars and the pound falling against the US dollar, those in the UK who invested in gold ahead of the vote – as we suggested was a n0-brainer from a waeltah insurance angle in a previous article: Britain Facing Brexit Bombshell. What Would Happen to Gold? have done very nicely indeed thank you, with the play gaining around 20% so far, depending on where you take the gold price level from. But at any pre-Brexit gold price the decision to put some pounds into gold will have been a very positive one. We cautioned all along that whatever the opinion polls were saying there was a huge underlying groundswell of anti-UK feeling and this fully expressed itself in the turnout and the eventual result. Initial global stock market reactions to the UK decision have mostly been as bad, or worse, than in the UK itself. For example Japan’s Nikkei was down 4%,but has recovered some of this fall in Monday trading. The Dow fell by over 3%, Germany’s DAX by 7%, the French CAC Index down 8% with the major Italian and Spanish Indexes down around 12%. 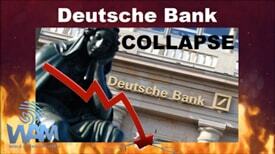 European markets were still continuing to suffer this morning, the major indexes showing further falls. So the real Stock Market carnage so far has not been in the UK (where the FTSE 100 was actually up over the week), but in Global markets – particularly in Europe. One wonders now whether the Brexit decision is the trigger which will prompt a global fall in stock prices which could match, or even exceed the 2008 market crash as some well-thought of economists have been predicting. Is the House of Cards going to collapse? The rest of Monday is already turning out to be a very interesting day in the markets indeed. Will we see further carnage in global Indexes during the day as the ramifications are digested? Will the UK Indexes plunge as the fall in the pound sterling parity against the dollar might suggest? Or will we see something of a recovery across the board, albeit perhaps a temporary one? 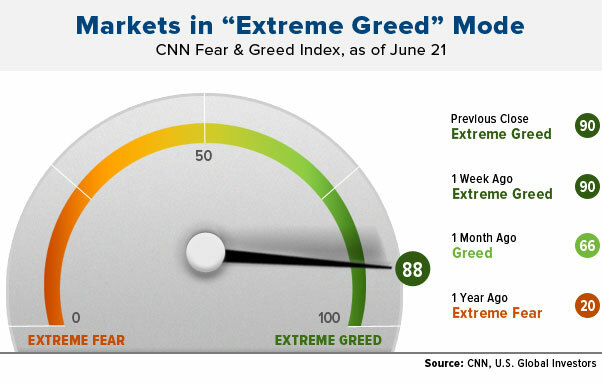 Markets tend to over-react to bad, or good, news so it’s a definite possibility. 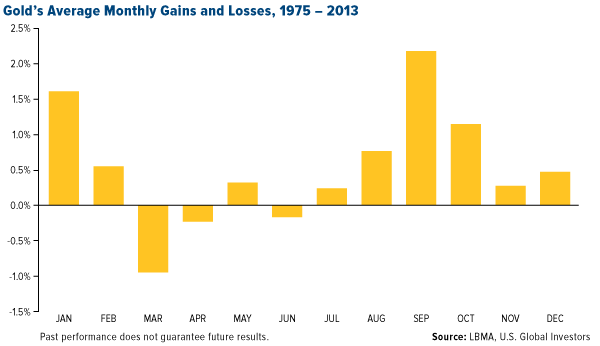 We suspect global stock markets face an unsettled few days, weeks, or months. Precious metals may continue to gain as safe haven buying accelerates. As noted above we saw an absolutely massive 18.4 tonnes of gold going into the GLD SPDR gold ETF on Friday. Will we see more big rises in the week ahead, or are profits going to start to be taken? GLD is a good proxy for precious metals investment interest and although there may remain something of a concerted effort by the bullion banks to stabilise the gold price, the flows into the ETFs will be further pressuring already tight supplies of available attributable physical gold and one scenario is that the gold price could burst upwards rather than downwards. OK – ‘burst’ is something of an oxymoron but perhaps an apt representation of possibilities. Look out for volatile markets, we don’t think they will settle down again for some time to come as politicians blow hot and cold over the impact and timetable of the Brexit on the UK, European and global economies. It could presage a very rough time ahead on global markets. 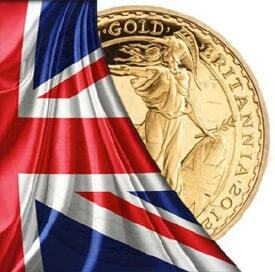 Gold Today –Gold closed in New York at $1,257.50 down $8.70 on Thursday ahead of the start of voting in Britain. This morning Asia took it up to $1,310 as they were the first market to ‘see’ the Brexit. At the opening on London the gold price the gold price pulled back to $1,319. The $: € plunged lower to $1.1069 from Thursday’s $1.1336. The dollar index moved higher to 95.77 up from 93.48. It is a day when the dollar is stronger overall but weaker in the Yen. The Euro and Yuan were much weaker, alongside sterling. With the Yuan tumbling against the dollar, the gold price in Shanghai was much stronger and led the way for London’s pricing. While investors can’t export physical gold, they can take a position in Shanghai ahead of London, take their profits and export those. In this way they can ‘arbitrage’, matching their ‘long’ positions in London at higher prices, should they wish. Above shows that they could have taken a position in Shanghai, well ahead of London’s opening in physical then match the position in London selling out the Shanghai position in Shanghai afterward, before the close. Then it would have shifted the funds to London and not the gold. This makes the International side of the Shanghai Stock Exchange an integral part of the global gold market. The positive Technical picture promises higher prices. LBMA price setting: $1,313.85 up from Thursday 23rd June’s $1,265.75. The gold price in the euro was set at €1,186.96 up €76.75 from Thursday’s €1,110.21. Ahead of New York’s opening, the gold price was trading at $1,323.35 and in the euro at €1,195.92. Silver Today –The silver price closed in New York on Thursday at $17.33 up from Wednesday’s $17.27 a rise of 6 cents. Ahead of New York’s opening the silver price stood at $17.93. The unexpected happened ! The paw paw hit the fan! The drama erupted at 7.00 a.m. London time and began to be discounted in Shanghai before London opened. Will we see a Frexit [Marie le Pen has just called for a French referendum and Spain may follow as could the Netherland……. ], a Spexit, a Nexit……? This could prove a mortal blow to the E.U. and eventually leave just the strong members remaining, implying, very long term, a much stronger euro. The biggest hit was taken by the banking sector as shares in leading banks dropped 20 to 30% at the opening. We are reassured that the banking sector can survive these crises, by Mark Carney, Governor of the Bank of England who pointed out that the banks in the U.K. have raised over 100 billion pounds in capital, while the Bank of England stands ready to provide additional liquidity of another 250 billion pounds in support. We wondered why they did not resort to the imposition of the dollar premium, as they did in a similar crisis in 1971. Then we realized that the provision of so much more liquidity did more. It permitted a tumbling of sterling [improving the U.K.’s international competitiveness [while joining the currency war]. It set the U.K. on a Quantitative Easing path of major proportions. It abandons concern for the exchange rate and stability of Sterling’s value in currency markets facilitating a weaker exchange rate. This suggests a steadily falling pound sterling in the weeks/months ahead. We recognize that this is why the Fed waited before considering a rate hike. We don’t expect one until the end of 2016 at the earliest, if then. 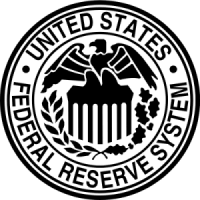 More to the point, we are aware that the Fed/Treasury will not be happy with a strengthening dollar and may well act to counter it, just as we expect the Bank of Japan to intervene in the foreign exchange markets to lower the exchange rate of the Yen. Please note that gold has only, so far recovered to where it was a month ago at its recent peak. 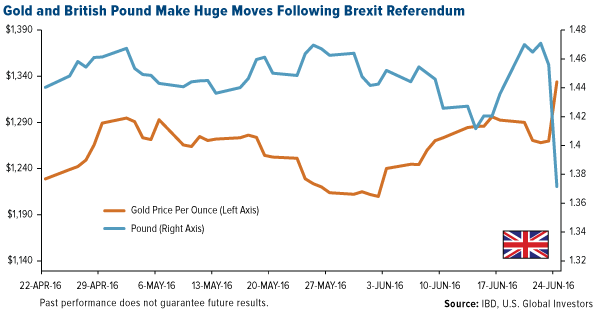 The changes wrought by Brexit promises to take gold higher long term. Gold ETFs – On Thursday the holdings of the SPDR & gold Trust remained the same as did those of the Gold Trust at 915.898 tonnes and at 201.91 tonnes respectively. We expect that to change today! Since January 4th this year, the holdings of these two gold ETFs have risen 321.022 tonnes. Silver –Silver prices are going to sprint ahead of gold prices now that the way forward higher is now clear.